When you have an on-the-job injury, you need to know what your rights, benefits and obligations are. Workers compensation benefits law defines the rights and obligations of employees and employers when employees are injured on the job. If you are injured at work, the first thing to do is tell your employer. Prompt notice is a key to ensuring you receive all benefits. Before you give a recorded statement, you should consult an attorney experienced in workers compensation. Most employers have workers compensation insurance that covers you if you have been injured on the job. You are generally entitled to benefits and compensation for an on-the-job injury whether you, a fellow worker or your employer was at fault. Work needs to be the prevailing factor in causing your injury and disability. Dean Law Office, LLC can ensure that you receive all of your benefits and that your final award is the maximum recovery. Call Margaret Dean at 816-753-3100 for a free consultation. Prescriptions. If the doctor writes a prescription, call your employer or claims adjustor and ask where you should have the prescription filled to avoid any out-of-pocket cost. Your employer does have the right to select the doctor. You do have the right to a second opinion, but you will need to pay for the opinion. In Kansas, upon the conclusion of your case, you can receive $500.00 in unauthorized medical benefits for the second opinion. TTD is payment for lost wages. If you are out-of-work because of your injury and the doctor states you can’t work, your employer should be paying you two-thirds of your average weekly wage subject to a waiting period (3 working days in Missouri and 7 days in Kansas) and subject to the state maximum allowance. TTD should be paid until you reach maximum medical improvement (MMI). Generally, your TTD is figured by taking the average of the preceding 13 weeks of pay in Missouri and 26 weeks of pay in Kansas (your average weekly wage or AWW) and multiplying it by .6667. Overtime is included in figuring your average weekly wage. TTD benefits are paid when you are off work due to injury, or have been released to limited duty, but the employer cannot accommodate the restrictions. TPD is also payment for lost wages. Temporary partial disability is paid when you have returned to work but are not working as many hours as you did before the accident. You are due .6667 % of the difference between what you would have earned had you gone back to full time duty and the amount actually being earned in your modified or restricted capacity. It is important to keep all your pay stubs and copies of any checks you are receiving. If you have a lasting effect from your injury, you are generally entitled to a lump sum payment for that disability which can be permanent partial disability (PPD) or permanent total disability (PTD). The legislature has assigned values in terms of weeks of compensation to various parts of the body and to the entire body. The lump sum payment you receive will close your case. Individuals who hire attorneys, on average, receive twice as much in compensation as individuals who do not hire attorneys. You will live with the disability for the rest of your life, you need compensation that reflects this. Dean Law Offices, LLC makes certain that your rating is done correctly, with a doctor who is specialist and who has all the medical records and knowledge of the facts and legal issues. If a vocational expert is necessary, we provide the vocational expert with the needed information so his or her report is accepted at the time of the hearing. If you are permanently and totally disabled from all types of employment, you may quality for permanent total disability benefits. In order to qualify for PTD you must be unable to work in any line of work in the labor market because of your compensable injury of occupational disease. The lump sum payment you receive will close your case. Individuals who hire attorneys on average receive twice as much in compensation as individuals who do not hire attorneys. You will live with the disability for the rest of your life, you need compensation that reflects this. In Kansas, if after reaching maximum medical improvement, you go back to a job earning less than 90% of your pre-injury wages, you may also be entitled to work disability payments. You must immediately report any injury or occupational illness to your supervisor or the representative designated by your employer. When do you report? When you have the accident, not when you think your medical condition is not getting better. When? NOW. 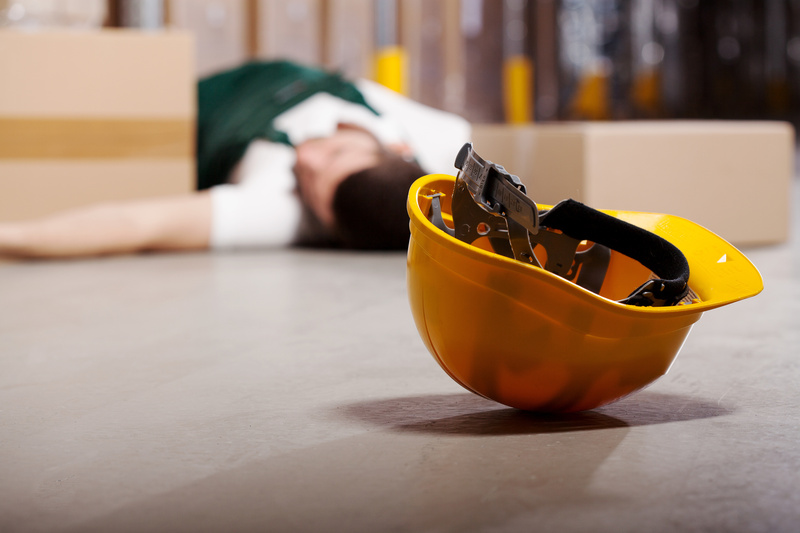 Employees who fail to notify the employer of a work injury promptly may jeopardize their ability to receive benefits. Put the report in writing, telling the supervisor or representative the how, what, where and when the injury or occupational disease occurred. Keep a copy for your records and note on the copy who you gave it to, the date and time. It is a good idea to review the statement with an attorney. Additional benefits may be available from the Second Injury Fund in Missouri. The Second Injury Fund compensates an injured worker when his or her current injury combines with a prior disability to create an increased combined disability. The purpose of the Second Injury Fund is to encourage employers to hire employees who have disabilities. The prior disability need not have been work related. The basic concept is that the whole is greater than the sum of the parts. For Example: In 2005, a person is involved in a motor vehicle accident and suffers a knee injury resulting in a torn ACL (anterior cruciate ligament) of the right knee which is repaired surgically. In 2011, the same person is injured on the job and suffers an ankle injury requiring surgery to his left ankle. This person now has a bad right knee and a bad left ankle. The total disability this person has is greater than simply the sum of the two disabilities. There is an enhancement over the sum of the two disabilities and it is possible compensation from the Second Injury Fund can be obtained. The injured employee in order to obtain compensation from the Second Injury Fund must file a proper claim in a timely manner making the claim against the Second Injury Fund. There are guidelines adopted by the Second Injury Fund in order to receive compensation: the disabilities must be at least 15% of an extremity or 12.5% of the body as a whole. When the current injury is rated, the prior disability can also be rated if it has not been previously rated. In addition, the permanent pre-existing disability must be of such seriousness as to constitute a hindrance or obstacle to employment. The Second Injury Fund also pays if you have a disability that is so great you cannot work at any job and it is not the last injury standing alone that led to the situation where you cannot work. In some cases it is important to analyze where the claim should be filed. If you work out of one state but are injured in another state, you may have a choice as to where to file your workers compensation claim. Due to the fact that workers compensation benefits vary from state-to-state, it is necessary to analyze which state is the better state for you to file in order to maximize your benefits. The choice of which state to file in may also be important if notice or the statute of limitations is at issue. States have different time frames for notifying your employer and different time frames for filing claims. Under workers’ compensation law, an employee must file a Claim for Compensation (Missouri) or Application for Hearing (Kansas) with the Division of Workers’ Compensation, within two years from the date of injury or last payment made on account of the injury by the employer or its workers’ compensation insurance carrier. The period of limitations is extended in Missouri to three years if the employer or insurer does not timely file the First Report of Injury with the Division. The time is not extended past two years from the date of accident, assuming a Report of Injury was filed with your employer, if the medical benefits are paid under group health coverage or out-of-pocket. Notifying your employer is not filing a claim. Because the employer or insurance agent gives you a claim number does not mean that a claim is properly filed with the Division of Workers Compensation. Insurance companies assign their own claim numbers to claim. The deadline is a strict deadline. “I didn’t know” does not save your claim. The goal of an IME or rating is to obtain an expert opinion that can be used in your case in determining your disability. When you are released from treatment, Dean Law Office, LLC will obtain a rating of your disability. A good IME will address future medical and whether more treatment or tests are needed. The IME results in a rating assessing your disability. I have never seen the issue of future medical addressed in a treating physician’s report. The insurance company or your employer is paying their bills and they are not generally asked to address future medical needs. It is extremely important that the doctor chosen to do the rating has the necessary expertise, has all medical records, and is familiar with how to do a rating. Your appearance at court may be required for pre-hearing conferences, voluntary conferences or settlement hearings. It is not the rule of the judge to tell you whether the settlement is fair. It is important in every case where there is an accident on the job to analyze whether someone besides your employer can be held responsible. In workers compensation, you are not awarded pain and suffering. Pain and suffering can be a significant component of any injury. A good example of the importance of analyzing whether there is a third party case can be seen in a case I handled. A worker lost most of his sight in an eye due to a battery explosion . He was awarded benefits of approximately $40,000.00 in workers compensation. Because he could sue the supplier of the defective battery, Dean Law Office, LLC filed a civil lawsuit. A jury awarded the individual $2,250,000.00 for the loss of his eyesight. Oftentimes the treating doctor will release you to light duty also known as limited duty or restricted duty. After each doctor’s visit, the doctor will give you a document that is meant to let you and your employer know if you can work and, if so, what limitations or restrictions you have. A number of doctors’ offices use a fill-in the blank form. It is ultimately your responsibility to get this form to your employer. A number of problems can arise when you are released to light duty. For example, during the doctor’s visit the doctor may say: “no overhead lifting.” The work release form may say no lifting greater than 20 pounds. You get back to work and are assigned a job lifting 15 pounds overhead. This is not the time to check the form. If the work release form does not adequately set forth your restrictions, let the doctor’s office know before you leave the office. At the time you are handed the work release form, review it. Is anything missing? Is anything not clearly stated? You must cooperate with your employer in order to receive workers compensation benefits. It is not a good idea to give a recorded statement until after you speak with an attorney. Missouri and Kansas law does not provide workers compensation coverage if it can be established that the hazard leading to the injury is a hazard to which the worker was equally exposed to outside employment. For example, as part of your job you are required to climb a set of extremely narrow steep stairs in a dark basement. The employer, insurer and claims adjustor would like to say climbing stairs is an activity that individuals do everyday not a hazard that is related to your job. It is a wise decision to seek the assistance of an attorney before giving a recorded statement. The accident that you had or the occupational disease or illness that lead to your workers compensation claim, may be so severe that you become entitled to social security disability benefits or disability benefits through a disability policy. If that is the case, it is necessary that your workers compensation settlement is properly apportioned over your lifetime so that any offset against the disability payments is minimized. At Dean Law Office, LLC we make certain that your workers compensation case is settled in your best interest. If you are now covered or when you are covered under Medicare, you may be denied Medicare benefits for work-related injuries. It is important that future medical be left open or that a medical savings account be established to cover future medical benefits due to your on-the-job accident. If any of your bills were paid for by Medicare or Medicaid or under your group health insurance, they will seek reimbursement. Every doctor is extremely busy, so you need to maximize the time you have with the doctor. If you are having problems, be prepared to tell the doctor what the problems are. Think about the words that best describe your problems ahead of time. If you have questions about your treatment, it is helpful to write out the questions ahead of time. Case Managers: Blessings Or Curse? Often the insurance company will assign a case manger to your workers compensation case. Generally, the case manager is a nurse. The case manager can be a benefit or an obstacle to getting medical care and in aiding in your recovery. Case managers often request permission to be in the examination room with you. The case manager has no right to be in the examination room and it is your option to decide whether you want the case manager in the examination room. Unless you decide otherwise, you and your doctor should be the only individuals in the examination room. Always remember that the case manager works for the insurance company or employer. Companies that provide case managers generally mention as a benefit to the insurance company or employer that a case manager can control costs. One way a case manager can control costs is by advocating an early release. For example, the doctor may want four additional weeks of physical therapy. If the case manager can convince the doctor that three additional weeks of physical therapy is good enough, the case manager has just saved the employer or insurer some money. If you need the four weeks of physical therapy, you haven’t benefitted from the case manager’s tactics. In both Missouri and Kansas, all medical bills are paid if a worker dies due to a compensable on-the-job injury. When a death results from a work-related accident, funeral expenses up to $5,000.00 are payable. If there is a surviving spouse and/or children, they receive benefits. Other dependent relatives may receive benefits if there is no spouse or children. To make sure you get all benefits in a timely fashion. To get a maximum recovery. The money you receive as compensation for your disability has to last you a lifetime. You are experiencing problems such as: medical bills not being paid for, TTD or TPD is figured incorrectly, you aren’t getting the medical care you need, or you are getting the run around. The insurance companies have spent million of dollars trying to convince the public that attorneys are all about frivolous litigation. There is nothing frivolous about being injured on the job. If you are interested in more information on Missouri or Kansas workers compensation case, please call Margaret Dean at 816-753-3100, or email me at attorneya@aol.com to schedule an appointment. There is no fee for an initial meeting and there is no fee if there is no recovery for you. All expenses are initially paid on your behalf.